Hydraulic pumps ,hydraulic motors and hydraulic cylinders run the machines that drive your business -- until they break or wear out. HYDRA-GEAR understands the critical nature of your hydraulic systems and we've built a solid reputation on our quick, high quality, hydraulic pump re-manufacture. Why should you choose HYDRA-GEAR for your hydraulic pump re-manufacture needs? We have been remanufacturing for over 20+ years, providing fast and accurate re-manufacture services for hydraulic pumps, motors, and cylinders. Our technicians are trained for hydraulic re-manufacturing on Bosh Rexroth, Denison pumps, Eaton Vickers pumps, Kawasaki pumps, Sauer-Danfoss, Sunstrand, and other major hydraulic pump brands. HYDRA-GEAR offers a one stop shop for your hydraulic needs, such as re-manufacturing of hydraulic components, machining, or fabricating. We specialize in an extensive line of hydraulic cylinders of all shapes and sizes, as well as pumps, motors and valves. We also offer new and re-manufactured units. All units will receive a free evaluation and a verbal report on the problem with the unit, its possible cause of failure, and any prevention techniques. Damaged and worn parts are replaced with OEM parts. If OEM parts are not available, we have the ability to machine and fabricate OEM quality parts. All units are 100% tested and set to their specifications before leaving our facility. HYDRA-GEAR is located in Las Vegas, NV -- centrally located in the West on I-15 and near an airport for fast shipping across the United States. Fill out the form to talk with our experts about your hydraulic pump needs, hydraulic cylinders problems, or gear box repairs! 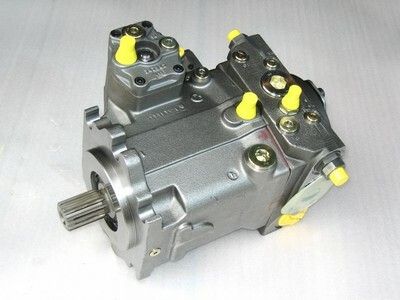 Hydraulic Pumps: Hydraulic Vane, Piston, Gear; Current, Obsolete; New and Rebuilt. Hydra-Gear can save you time and money on a re-manufactured hydraulic pump! 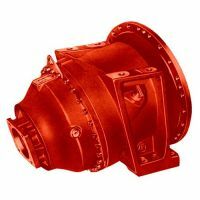 Hydraulic Motors: Hydra-Gear can offer new or re-manufactured units. All units are warranted as new. Hydraulic Valves: Hydra-Gear re-manufactures valves by completely disassembling, inspecting, replacing defective parts, reassembling, and testing. Cut your cost of a new one by 50 percent! Hydraulic Cylinders: Hyrda-Gear rebuilds single acting, double acting, telescopic, pneumatic, rodless, and many other types of cylinders. We have a complete machine shop with large inventory of rods, tubes, and gland materials for minimum downtime.